character tuck six pills into a pouch without dying of radiation poisoning? Almost certainly. of the game without cypher use, and at some point there probably will be a moment with far too much cypher use. one result from the original. Continue until a logical result occurs. This section is from Page 279 of the core book. I will be using this rule. In PbP the game does not move fast enough for the normal use of cyphers and cyphers are a good way of making small immediate rewards for players. So the cypher limit listed for your characters is a limit for safely holding Cyphers in a stable condition. You will be allowed to have more cyphers than your listed limit just remember the more you carry beyond your limit the more there will be a chance of them becoming unstable. Also I will not be checking every time a character picks up a new cypher but will be asking for cypher checks in the manner of a GM Intrusion without the ability to pass for XP or the rewarding of XP. Rewarding XP in a RPG has always been a daunting task, to much and the game becomes too powerful too fast, not enough and the players get frustrated with their characters not progressing. Rewarding XP in a PbP is even worse. The slow nature of PbP and the fact that a months worth of posts can reflect only a few minutes of game time around a table. This leads to a very slow rate of progression using the standard XP award system. Luckily the Cypher System partially addresses this in their own way of rewarding and spending XP. This is how XP is used in the Cypher System Games of which Numenera is one. Experience points are meant to be used. Hoarding them is not a good idea; if a player accumulates more than 10 XP, the GM can require her to spend some of them. Generally, experience points can be spent in four ways: immediate benefits, short-term benefits, long-term benefits, and character advancement. The most straightforward way for a player to use XP is to reroll any roll in the game, even one that she didn't make. This costs 1 XP per reroll, and the player chooses the best result. She can continue to spend XP on re-rolls, but this can quickly become an expensive proposition. It's a fine way to try to prevent disaster, but it's not a good idea to use of a lot of XP to reroll a single action over and over. A player can also spend 1 XP to refuse a GM intrusion. particular location. The skill is extremely useful in the citadel, but nowhere else. It’s also a way to gain a new skill even if the PC has already gained a new skill as a step toward attaining the next tier (again, see page 112). In rare cases, a GM might allow a character to spend 2 XP to gain an entirely new ability—such as a device, an esotery, or a mental power—for a short time, usually no longer than the course of one scenario. The player and the GM should agree on a story-based explanation for the benefit. Perhaps the esotery or ability has a specific, rare requirement, such as a tool, a battery, a drug, or some kind of treatment. For example, a character who wants to explore a submerged location has several numenera components, and he spends 2 XP to cobble together a device that lets him breathe underwater. This gives him the ability for a considerable length of time, but not permanently—the device might work for only eight hours. Again, the story and the logic of the situation dictate the parameters. In many ways, the long-term benefits a PC can gain by spending XP are a means of integrating the mechanics of the game with the story. Players can codify things that happen to their characters by talking to the GM and spending 3 XP. For example, a spinner named Jessica spends a long time working in a kitchen in a restaurant that she believes is owned by a man working for agents from Ruk on Earth. During that time, she becomes familiar with cooking. Jessica's player talks with the GM and says that she would like to have the Jack's experiences have a lasting effect on the character. She spends 3 XP and gains familiarity with cooking. Some things that a PC can acquire as a long-term benefit are story based. In the course of play, the character might gain a friend (a contact) or build a log cabin (a home). These benefits are probably not the result of spending XP. The new contact comes to the PC and starts the relationship. The new home is granted to him as a reward for service to a powerful or wealthy patron, or maybe the character inherits the home from a relative. Things that affect character abilities, like a familiarity or an artifact, are different. They likely require XP and time, money, and so on. Long-term benefits can include the following. Familiarity: The character gains a +1 bonus to rolls involving one kind of task. Contact: The character gains a long-term NPC contact of importance someone who will help him with information, equipment, or physical tasks. The player and GM should work out the details of the relationship. Home: The PC acquires a full-time residence. This can be an apartment in a city, a cabin in the wilderness, a base in an ancient complex, or whatever fits the situation. It should be a secure place where the PC can leave his belongings and sleep soundly. Several characters could combine their XP and buy a home together. Title or job: The PC is granted a position of importance or authority. It might come with responsibilities, prestige, and rewards, or it might also simply be an honorarium. Wealth: The PC comes into a considerable amount of wealth, whether it's a windfall, an inheritance, or a gift. It might be enough to buy a home or a title, but that's not really the point. The main benefit is that the PC no longer needs to worry about the cost of simple equipment, lodging, food, and so on. This wealth could mean a set amount, perhaps 500 shins, or it could bestow the ability to ignore minor costs, as decided by the player and GM. Artifact: The PC creates an artifact that has a power of his choosing. If the item is fairly simple, the GM can skip the crafting details and just say that after a period of time, the PC creates it. For an item that significantly alters gameplay, granting the character vast telepathic powers or giving him the ability to teleport at willâ€”the GM might require difficult rolls, a considerable amount of time, and rare, hard-to-find components and materials. Progressing to the next tier involves four stages. When a PC has spent 4 XP on each of the stages, he advances to the next tier and gains all the type and focus benefits of that tier. The four stages can be purchased in any order, but each can be purchased only once per tier. In other words, a PC must buy all four stages and advance to the next tier before he can buy the same stage again. Increasing Capabilities: You gain 4 new points to add to your stat Pools. You can allocate the points among your Pools however you wish. Moving Toward Perfection: You add 1 to your Might Edge, your Speed Edge, or your Intellect Edge (your choice). Extra Effort: Your Effort score increases by 1. Skills: You become trained in one skill of your choice, other than attacks or defense. If you choose a skill that you are already trained in, you become specialized in that skill, reducing the difficulty of related tasks by two steps instead of one. Reduce the cost for wearing armor. This option lowers the Might cost by 1 and lowers the Speed reduction by 1. Add 2 to your recovery rolls. The first way is thru GM intrusion If i make an intrusion and the intrusion is accepted the player excepting the intrusion receives 2 xp, one for himself and one which he awards to another player. These XP award will/can be awarded per post as they happen and are purely Player driven, the more you do in your posts the more Xp you will make. The Xp awards above may be used in any way you wish, short, medium, or long term. But you may only keep 10 XP saved, anything over ten must be spent on Short or medium term benefits upon passing the ten point limit. Finally at the end of each adventure/session of gaming at the table, XP is supposed to be awarded but since we aren't at the table I have to award session XP in a different manner. I will be awarding Xp Monthly equal to the number of weeks Played that month. So 4-5 XP. This Monthly XP may only be used for Long Term Benefits so it will have to be tracked separately. Note to receive your full allotment of Monthly XP you must Post in each week of the month but regardless of the number of posts you make you will only receive total of 4-5 XP for the month. you may spend your xp when ever you receive them as long as you can justify the expenditure. 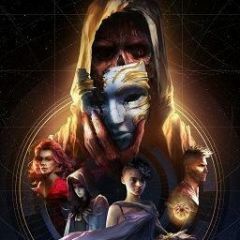 There is a disparity between Numenera and the Cypher system when it comes to Special Abilities that IMO leaves the Numenera characters lacking. Since this is a game with limited players and I want us to have the widest ability to meet all encounters with a chance of success I will be instituting the following changes. Tier 1 – 4 choices 2 of which must be taken from the Numenera Type the rest may be taken from Numenera or the corresponding Cypher Type to your chosen type. Once your character is Tier 2 you may opt to spend one free choice per tier on a Special ability from a Different Type. This choice must be from a lower tier than your current tier.